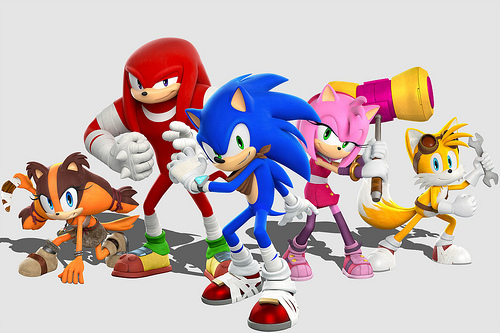 Former SEGA America producer Stephen Frost has called Sonic Boom a “huge success”, thanks to the project’s cartoon and toy licensing initiatives. 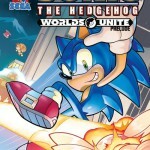 In an audio interview with SEGA Nerds, the producer – who has been at the forefront of all Sonic Boom-related developments, from the video games to the cartoon and merchandising efforts – said that the animated show in particular helped broaden the audience for Sonic the Hedgehog in the US. 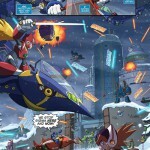 This also encouraged an explosion of toy sales, which Frost added initially sold out in 24 hours. 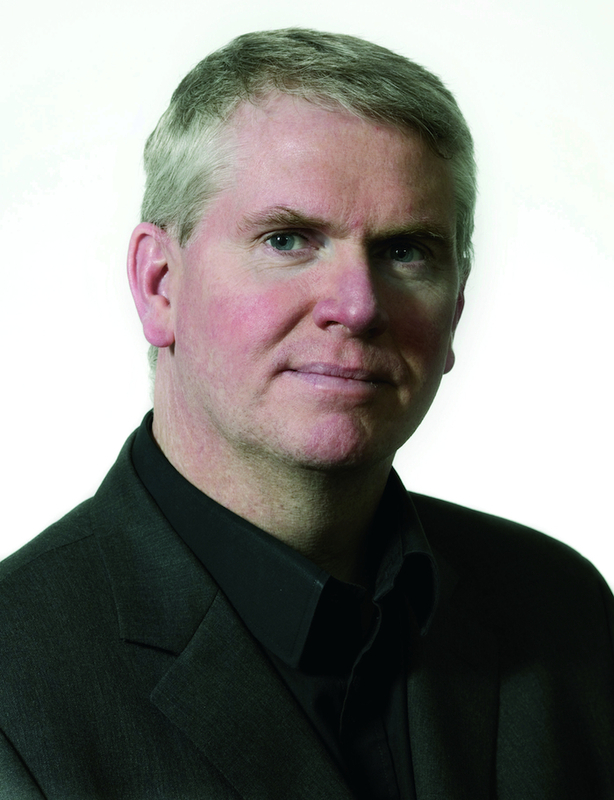 Speaking of his response to the fallout from the release of the Rise of Lyric and Shattered Crystal games, Frost was positive about the effect the licensing drive had on reaching a large audience. “Obviously there are pros and cons to Sonic Boom,” he said. 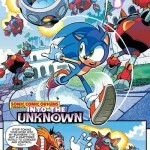 “As a whole… for some reason I think people still focus on the game aspect of Sonic Boom. 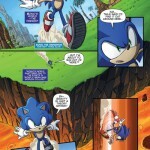 And rightly so because Sonic’s always been a game [character]. But you also have to think about the other things we tried to do with Sonic. Frost likened the dwarfing audience for Sonic the Hedgehog to other AAA video game franchises on the market. “Even if you have a [AAA budget title] every year, the install base is going to get smaller… So the attempt with Sonic Boom was to appeal to an audience that was not familiar with Sonic – or, were fans previously but weren’t anymore for whatever reason. Frost also added that Archie and the Sonic voice actors were also appreciative of the opportunity that Sonic Boom presented. 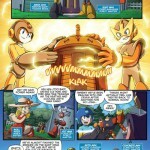 For Archie, it offered a chance to create new stories and a new book based on the series, and for voice actors they were able to add nuance to their respective characters. Speaking about the video games themselves, Frost was pragmatic. “Could the games be better? Yes… [But] I see that we tried to do something different. I think the challenge is that – if you think about the fact that Sonic Team has been making Sonic games for 20-odd years. They understand Sonic and all the things that make a Sonic game. 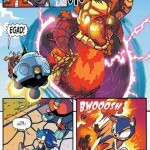 “In a relatively short amount of time we had to teach new teams what Sonic is all about. But not only that — if I was to say to a team, ‘make a speed-based Sonic game’, they’d have to start from zero and catch up to 24 years of experience in one [development cycle]. Now imagine asking them to reinvent Sonic, to try something different – still capture the speed but also be different enough that when people look at it they know it’s a new experience. It’s really tough! 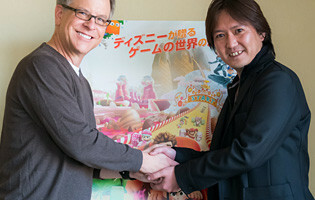 Frost noted that there were a number of positive things that came from the development of the Sonic Boom games – for instance, the popular co-op mode, which he hopes will be a concept that Sonic Team will consider for future mainline Sonic titles. 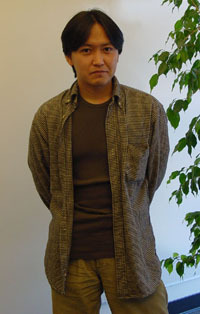 Naturally, a lot of people have compared Sonic Boom to Sonic Team’s efforts, and Frost accepted that the project’s game development ended up being a victim of the team’s ambition. “There’s a reason why the Sonic games are relatively high quality – they’re basic in design,” he said, talking about how many Sonic titles follow a similar strand of gameplay design. “You have speed, homing attacks… but because of that [streamlined gameplay], and because Sonic Team have been doing that for so long, they can fine-tune that [with every game release]. 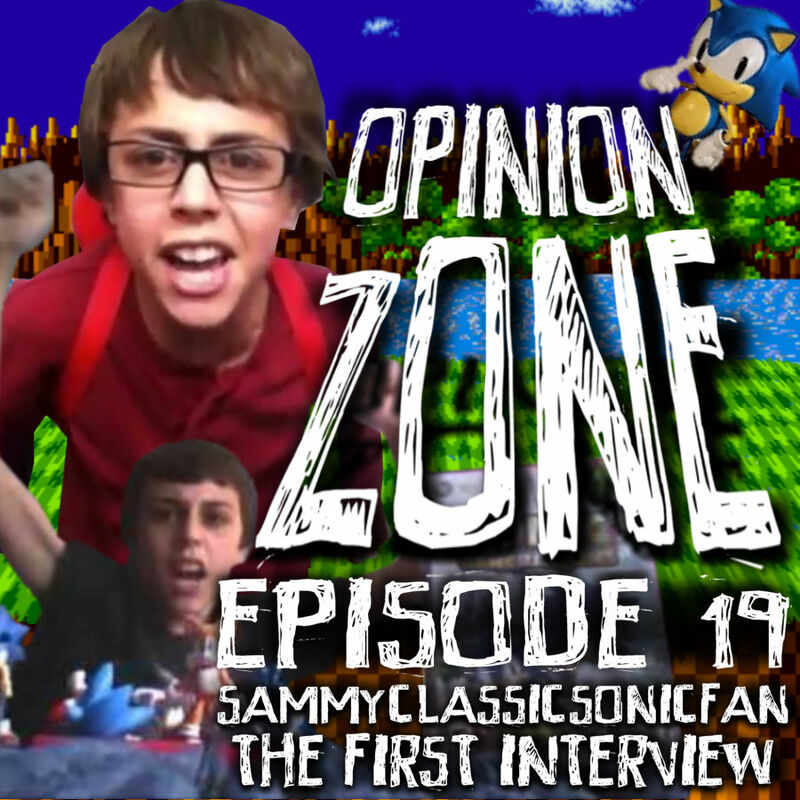 There’s a lot more in the interview with SEGA Nerds – the discussion about Sonic Boom starts at 1:42:00. Editor’s Note: This article originally offered a brief overview of points taken from the interview that were presented out of context. We have since rewritten the story in its entirety and removed all conjecture from the piece. We apologise for any confusion caused. 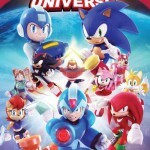 A new interview with Sonic Boom producer Stephen Frost over at Gamasutra has gone into detail about the vision of the new extension of the Sonic franchise, giving some insight into how the collaborative efforts come together. Frost talks about a wealth of things from the creation of Sticks, the audience they’re aiming for and how he wants the whole of Boom to have a connected feeling to it. 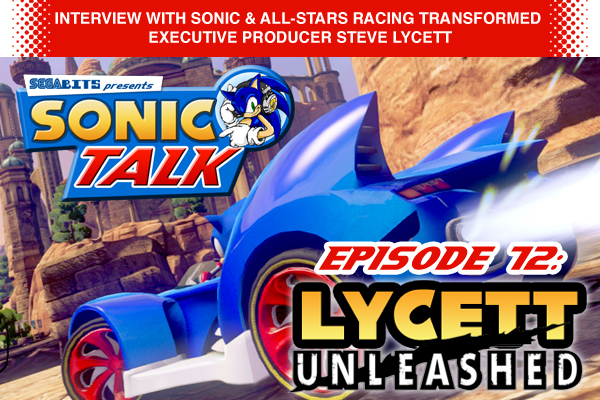 Changing the Sonic formula too much can be a bit dangerous, though: “We had a point early in the early prototype phase where we’re sitting back and we were like, ‘You know, if we remove Sonic and the team from this… it could be anything,'” Frost recalls. It’s a team effort, guys. That kind of interaction leads to “a unified design and vision” for the franchise, moving forward, Frost says. I’ve included the link to the interview below. It’s much more behind the scenes, but an interesting read nonetheless. Give it a look, and let us know what you think about what Frost expressed here in our comments below. Remember, this week is our collaboration with Sonic Retro and SEGAbits for Sonic’s 23rd birthday – keep tagging with #Sonic23on23 to keep the party going! As well the new behind the scenes video we got of Sonic Boom today, we also got this little gem from the folks over at SEGAbits! The Swingin’ Report Show hosts, Barry and George, plus David of Sonic Retro, sit down with Sonic Boom producer Stephen Frost to chat all about the new branch of the Sonic franchise, leaving some hints for what fans can expect from both the video game and show. It’s an hour long of goodness, so sit down, relax, and get your headphones on. So, are you on the Sonic Boom hype train yet? On Sunday, Tennis star Andy Murray made history by being the first British Male to win Wimbledon since Since Fred Perry, 77 years ago. Following his gold medal at the Olympic Games last year, Andy Murray has since won the US open and is currently ranked the world number 2. I should point out, his victory at Wimbledon was against the world number 1. Why am I telling you this? Well, The Sonic the Hedgehog Twitter & Facebook page has claimed that in an interview with The Sun newspaper, Andy Murray told them, that to relax before a big game, he plays Sonic the Hedgehog. Thats right my friends, in order to relax and ease nerves, Andy Murray aparently plays Sonic games. The paper didn’t say which Sonic games he plays or on what system, so could we argue that technically Andy Murray is a Sonic fan? 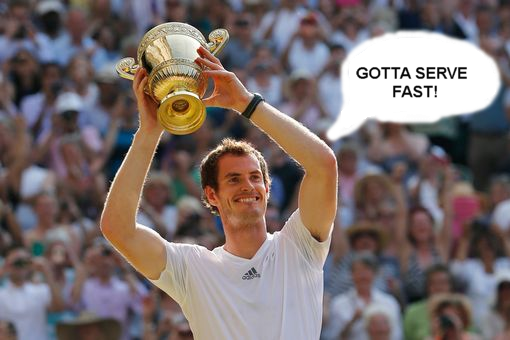 That might be a bit too far, but this might be scientific proof that Sonic the Hedgehog helped Andy Murray win Wimbledon… .. … though I suspect the fact he’s awesome at Tennis is more a deciding factor. Andy Murray for ASRT DLC anyone? In a recent interview with VG247, SEGA West CEO Mike Hayes revealed that digital download title Sonic the Hedgehog 4: Episode 1 has sold over one million units across all platforms since its release in October last year. “It did very well and it continues to do well,” Hayes told us in a phone interview this afternoon. Thanks to SSMB member Emeraio at the SSMB for the heads up! Nintendo specialist website NintendoLife has posted up an interview they held with SEGA’s Digital Brand Manager Ken Balough to chat about Sonic the Hedgehog 4: Episode 1. Not much is revealed that we don’t already know, but there are plenty of teases made about Episode 2. 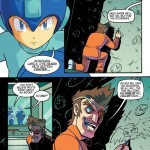 The Episodes will definitely make up a larger game. After completing them all, you’ll have experienced a larger overall story arc that lives up to the epic nature of earlier Sonics. As for what carries over – you’ll have to wait and see! It was definitely a challenge because there was less room to work with, but the team was super committed to bringing their full vision to the Wii. Ultimately the content is identical. 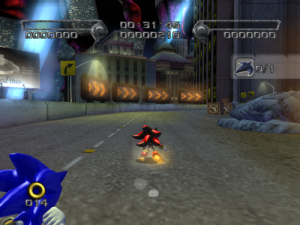 The Team was really committed to making sure everyone got a great Sonic 4 experience, so the graphics and the motion controls on the Special Stages are the only real differences on the Wii version. I’ll like to let everyone know that we at SEGA definitely understand the desire Sonic fans have had for return of a 2D game. 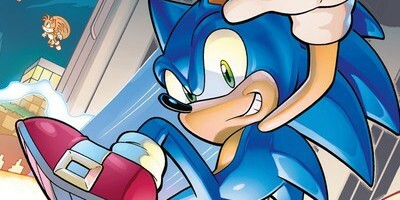 The entire team are Genesis Sonic fans and we’re all proud to be bringing back Sonic with Sonic the Hedgehog 4. This is the game we’ve all wanted to play since we were kids, and we really hope everyone out there shares our passion and enjoys playing this game as much as we did making it! 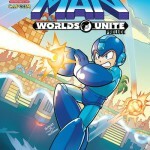 Check out the full interview at NintendoLife. 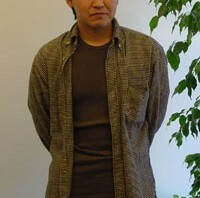 CVG has published a new interview with Sonic Team head Takashi Iizuka today. In the interview we find out Iizuka’s thoughts on how Sonic Colours compares to past 3D titles and why this latest entry isn’t being released on Xbox 360 and PS3. Iizuka explains that the comparison between past 3D Sonic games and Sonic Colours is the cast of characters. The older titles had a large playable cast, while Colours has Sonic alone, which he says is what the fans want. 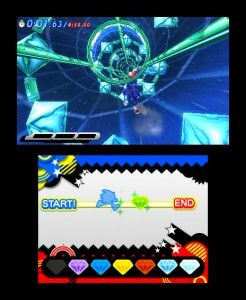 If you look at previous 3D Sonic games, it began with Sonic Adventure and moved on to others. 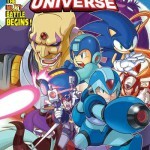 Those titles always had Sonic as the main characters but also had different rival characters. 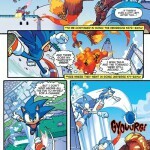 Those characters were like different action characters – Sonic was the speed character. This time around in Sonic Colours the team really wanted to focus on high-speed Sonic, which is what made the Sonic games special to begin with. The focus was always on the Sonic character itself, they wanted to make Sonic as the only playable character because fans only want to play as Sonic. Instead of having other characters with different gameplay twists, Iizuka says this time they decided to implement the Wisp power-ups, so they could keep Sonic’s fast-paced gameplay and not break the tempo. At the same time they also want a different twist to the gameplay and that is why we introduced the Colour powers. 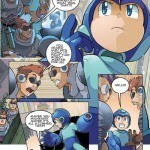 The focus is on high-speed Sonic and those colour powers are in more of a complimentary role. We wanted high-speed to be the main focus and didn’t really want to break up the tempo. It’s more like we tried to blend in those actions in a more efficient way, not really distracting the player from the core gameplay. When asked if Sonic fits with the Xbox 360 and PS3 audiences, Iizuka details why they went with the Nintendo platforms for Sonic Colours and that Sonic still has an audience on the HD platforms. It’s not that Sonic is for the Nintendo platform, it’s more like when we looked at the target audience for this particular title we wanted to expand the franchise more to newcomers. That is why we chose the Nintendo platforms. 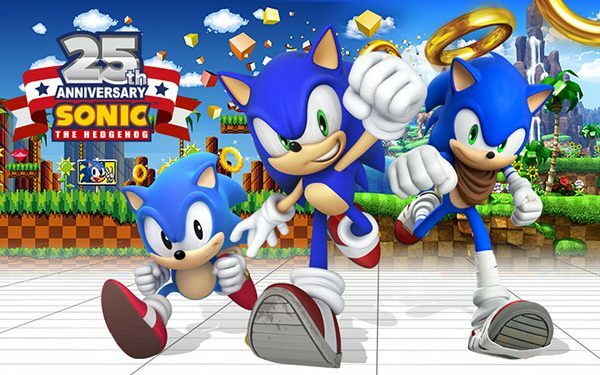 This doesn’t mean that the PS3 and 360 don’t have an audience for Sonic any more, it’s just this title in particular is more tailor made for the Nintendo platform fans – more like fun, enjoyable and vibrant, which Nintendo platforms excel at. It’s more that this type of game is more tailored to those platforms. Finally, Iizuka tells CVG how Sonic Team recognise there are different needs in the Sonic fanbase, how some want speed, others want platforming and the rest want something new. He says they are looking forward to developing more titles in the future that cater to these different groups of fans. This year the reason the team is releasing Sonic 4 and Sonic Colours in the same release window is because we recognise there are different needs in terms of Sonic games and characters. 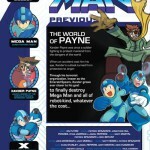 There is the platforming, the high-speed and people looking for something new. This is the style that the team thinks works best, looking at the classic fans in one way and the new one in another. It’s pretty hard for the team to satisfy those two very different fans with just one title. We probably look forward to developing titles which are made more towards the core and casual Sonic fans, that’s probably one of the ways the team thinks it can keep Sonic popular and expand fans for the future. For the full interview, head over to CVG. 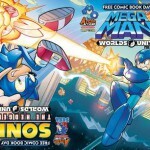 SPOnG has posted up their full interview with Sonic Team Producer Takashi Iizuka, an interview they posted a sample of on Friday, which revealed that the light-hearted and pick-up-and-play gameplay style of the Mario & Sonic at the Olympic Games series influenced Sonic Colours. 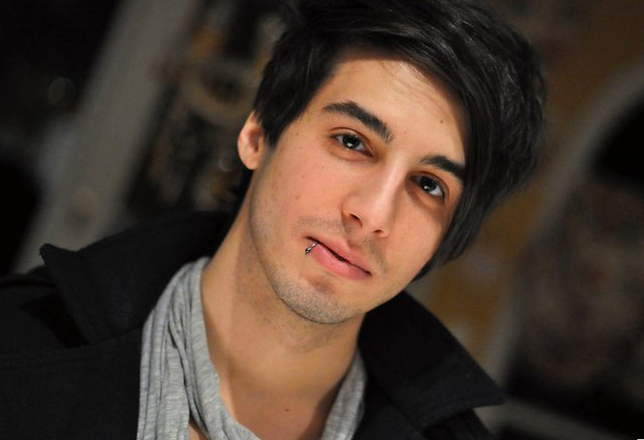 The interview was held by Sonic Stadium founder Svend Joscelyne (aka Dreadknux), who works as a journalist at SPOnG. In the interview Joscelyne asks some very interesting questions that are certainly a step-up from most interviews that ask the same tired old questions. The interview begins with Joscelyne querying the inspirations behind the various Wisp powers in Sonic Colours, which Iizuka explains are to help Sonic reach news areas in the game. The basics for all the colour powers come from the desire to let Sonic go to places that he normally can’t access on his own. 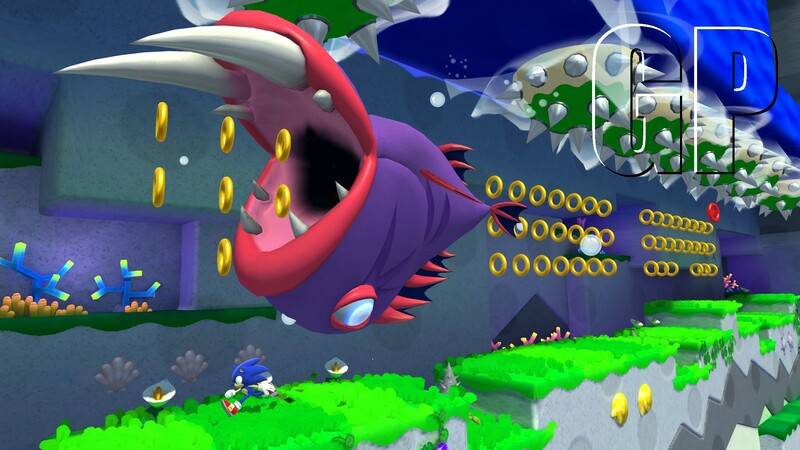 When we sit down to think of new Wisps and their functions, we look at the kind of areas that Sonic cannot reach, despite his speed and platforming powers. You can speed through each stage as fast as you like, without using Wisps, but what those colour powers actually do is give players a chance to explore and replay all of those stages too. Collecting the hidden red rings is one reward for doing so, and the world map shows how many you have found in each level. Without using the Wisps, you won’t always be able to get those red rings. Some fans may have wondered if Dimps is working on the Wii version of Sonic Colours, after helping out with Sonic Unleashed on Wii. Well, this interview gives us confirmation that Sonic Team are working solo on the Wii version and Dimps is working solo on the DS version. For Sonic Colours, our two teams worked quite well together on the concept, but we developed the 2D Nintendo DS and 3D Wii versions rather independently. The Wii version is fully developed internally, because we know a lot more about 3D Sonic development than some other developers. 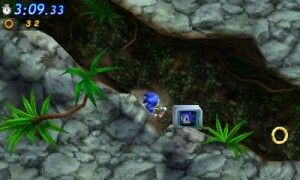 Dimps has the experience to make a 2D Sonic game as best as they can, and so they have exclusively worked on the Nintendo DS version – they had no real input in terms of the Wii development. In recent months there has been more interest in the Sonic fan-base growing towards Sonic Colours over Sonic the Hedgehog 4: Episode 1. 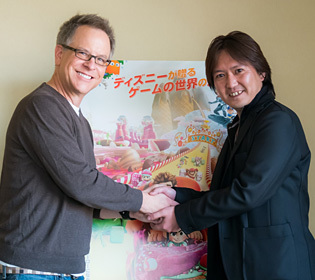 Joscelyne asks Iizuka’s thoughts on this. It’s not so much a feeling of surprise, but the team and I really appreciate that a lot of classic fans are looking forward to Sonic Colours as well. I mean, Sonic Colours was created largely as a 3D title for the people who have become fans of the Sonic franchise most recently, but it’s good to hear that the game has been received so well from the older fans too. Next, Joscelyne asks Iizuka about THAT recent statement about Sonic Colours being built for a ‘younger audience’, a statement that was later corrected by a member of staff from SEGA. Joscelyne asks why a distinction was made and if it was a misquote or a mistranslation, to which Iizuka responds with the below answer in full. It wasn’t really a misquote or a mistranslation. The reason why I said ‘younger audiences’ is because the team and I wanted to capitalise on the new audience that we gained through the success of the Mario & Sonic games. Those titles in particular really worked well for Sonic as a character because it made our potential audience much broader than existing Sonic fans. 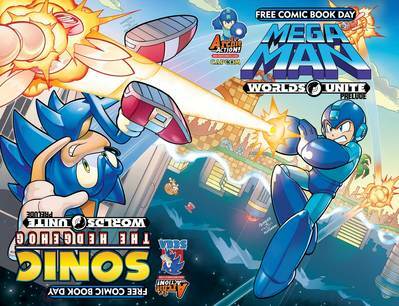 That created an opportunity for us to build a bigger fanbase, but we noticed that there weren’t that many mainstream Sonic titles available for the Wii and DS post-Mario & Sonic. That’s why Sonic Colours is a proper platforming mainstream game, so that those new fans can discover and learn more about the franchise beyond those spinoff titles. In that way, it’s not really focused on young audiences in terms of age, but more as in maintaining that broader market. Even though this is the case, if you look at the core gameplay elements of Sonic Colours, you’ll notice that this is a true platforming action game that the core fans can also enjoy. The ultimate goal for Sonic Colours has always been to make the best Sonic title we can for the widest possible target audience. The market nature that the Wii and DS have is the reason why I used the term ‘younger audiences’. 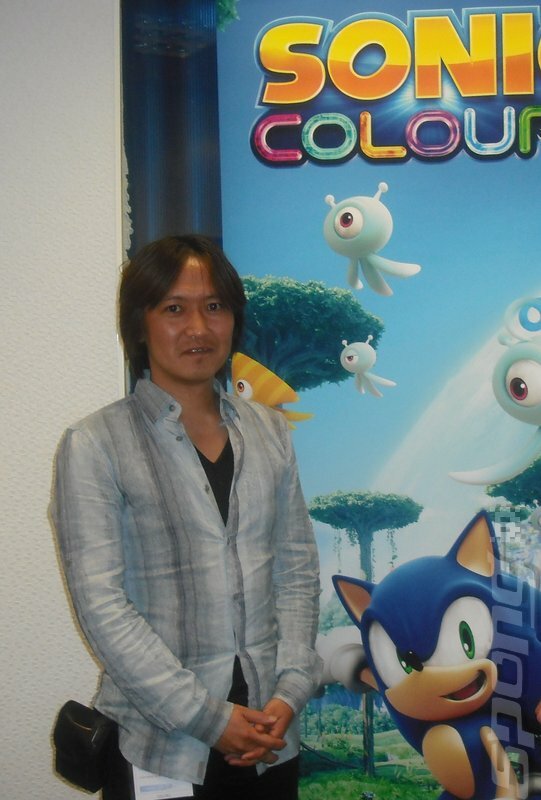 Next, Joscelyne asks for Iizuka’s feelings about Sonic’s downward spiral in recent years and Yuji Naka’s exit from Sonic Team in 2006 to create his own company, Prope. 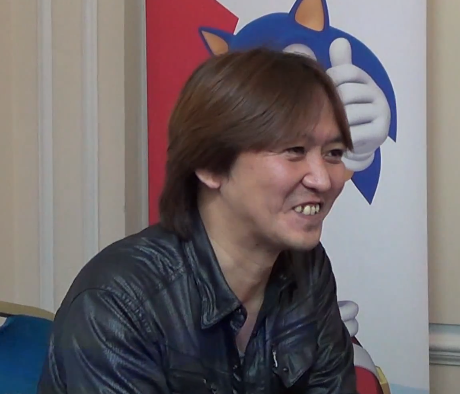 While Iizuka was sad to see Naka go, he gives fans assurance that Naka’s absence hasn’t changed the team as much as some people would like to think. “Sonic Team is always Sonic Team” he says. 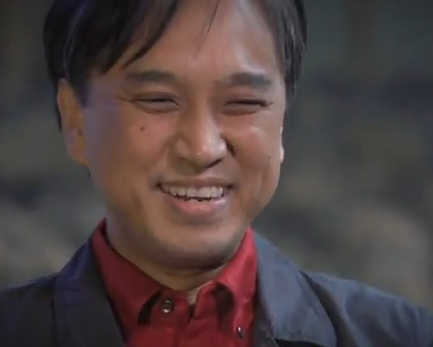 I really miss Naka-san and was sad to see him leave when he decided to form his own company. But even at that time, he wasn’t the only person making decisions for the games. Concepts and gameplay elements were all discussed as a team, for example. So while it was very sad to see him go, Sonic Team is always Sonic Team and it didn’t necessarily mean that Sonic was destined to head in a different direction post-Naka-san. At least, not as different as some people may think. Yes, that’s the vision that I have. To read the full interview, head over to SPOnG. Spikes will let Sonic stick to any given surface and roll along it, making him invincible at the same time. Pressing the B trigger on the Wii Remote will let Sonic perform a traditional spindash move and zip along the surface he’s on. Using the Hover ability turns Sonic into a giant green Sonic head and gives you the power to hover, of course – which is very handy in levels where you might need to take advantage of any platforms sitting in the sky. If there’s a trail of rings, pressing B will make Sonic automatically follow it until its end. A bit like the Light Speed Dash in Sonic Adventure games, only without the potential death. These new Wisps were being demonstrated on a brand new level, called Starlight Carnival – a beautifully bright, colourful stage set in space that reminds me a hell of a lot like a combination of Sonic CD’s Stardust Speedway and Mario Kart’s Rainbow Road. 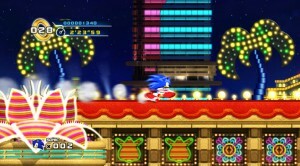 Platforming, dodging and floating was all going on against a backdrop featuring a fleet of Dr. Eggman’s starships. Iizuka is keen to stress that the presence of starships “is not as serious as it sounds,” pointing out the light-hearted Disneyland-inspired level design and the infectiously happy soundtrack. 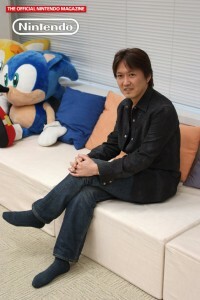 What do you think of Iizuka’s latest statements? Discuss in the comments. ‘The Takashi Iizuka Chronicles’ continue with another statement from the Sonic Team boss, who recently spoke to gaming website SPOnG in an interview that will be posted in full at a later date, but for now SPOnG has shared a portion to whet your appetite. 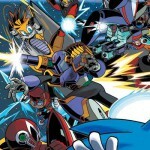 Some Sonic fans have felt that since the Sonic Adventure titles, the series has relied too heavily on story and character development, which is very different to the earlier games simple plots. Iizuka feels the same way and thinks Sonic should be headed in more of a fun and ‘pick up and play’ direction for Sonic Colours, similar to the Mario & Sonic Olympics games. 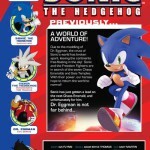 “What I felt was that the franchise had become too serious and the story had become very deep, whereas I see Sonic as more of a laid-back, enjoyable and fun experience. I kind of rediscovered that through Mario & Sonic in a way, because that game was very much a ‘pick up and play’ affair that everyone can jump in and enjoy. We’ll look out for the full interview and report back. 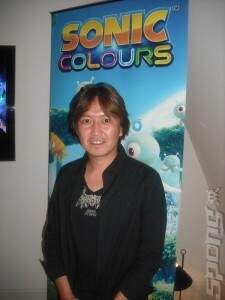 Do you agree with Iizuka’s statement regarding Sonic Colours direction? Speak out in the comments.